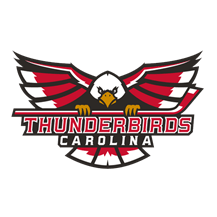 Winston-Salem, N.C. – A packed Winston-Salem Fairgrounds Annex saw an instant classic between the Port Huron Prowlers and the Carolina Thunderbirds on Friday night. Josh Pietrantonio sealed the game with a goal with less than 3 minutes left in the game. After a scoreless first period that saw a fight between CJ Blaszka and Alex Johnson in the opening three minutes, the scoring was opened by Port Huron’s Yianni Liarakos at the 2:03 mark of the second period on the power play. The Thunderbirds responded with a power play goal of their own at the 3:52 mark of the second from Jiri Pargac. Both teams traded goals again after that with Port Huron’s Matt Graham and Carolina’s Everett Thompson each notching a goal before the break. In the third period, Carolina took their first lead of the game when Stan Vlasov picked up a loose puck on a rebound from Joe Cangelosi’s shot. Port Huron would answer 31 seconds later with a goal scored by Daniel Chang after a scrum in front of Thunderbirds netminder Henry Dill. The game winning goal would go to Thunderbirds captain Josh Pietrantonio after a shot from Stan Vlasov was going to be saved easily by the pad of Cory Simons, but the captain put his stick down and made an incredible deflection into the top netting and gave the Thunderbirds the lead for good. Henry Dill made 25 saves on 28 shots in the win for Carolina, Cory Simons stopped 54 of 58 shots in the loss for Port Huron. The same two teams take the ice again tomorrow night at the Winston-Salem Fairgrounds Annex. Puck drop is at 6:05 P.M.